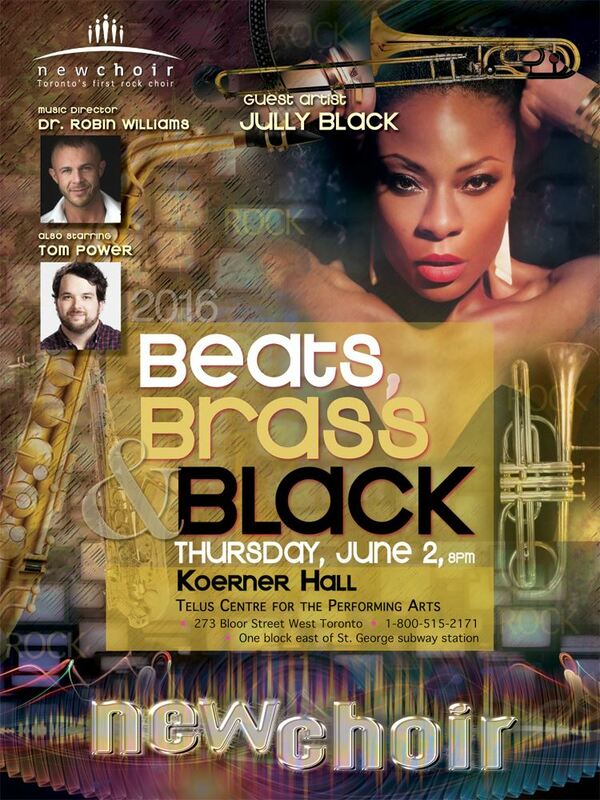 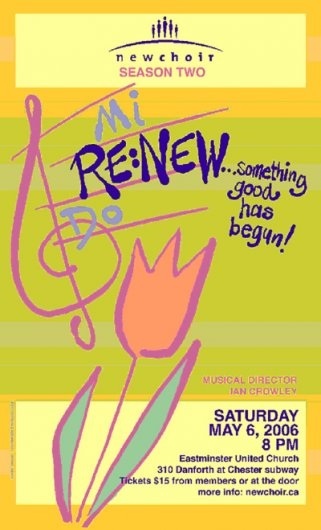 Enjoy a few videos and tracks from past performances! 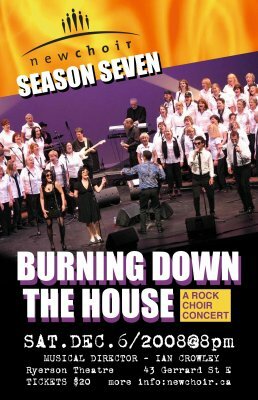 Check out our YouTube channel for more great videos, and scroll down the page to access our Spotify playlists from past shows. 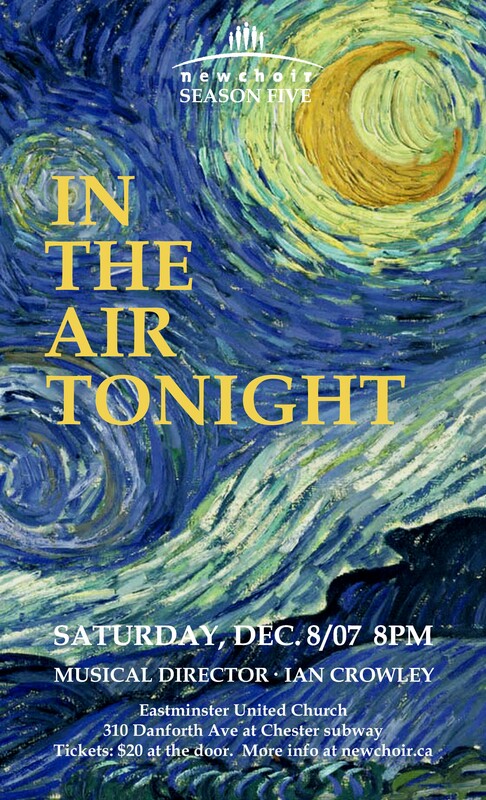 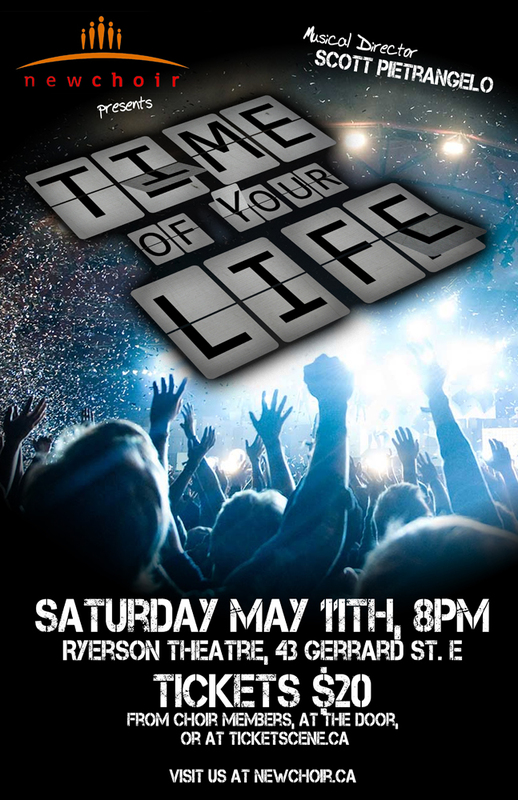 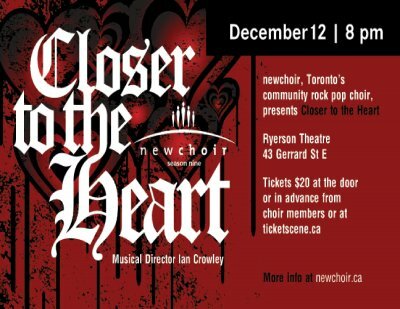 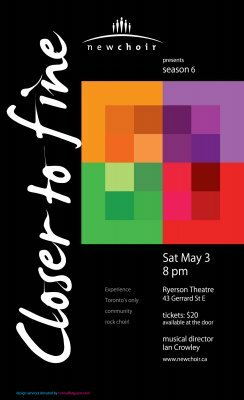 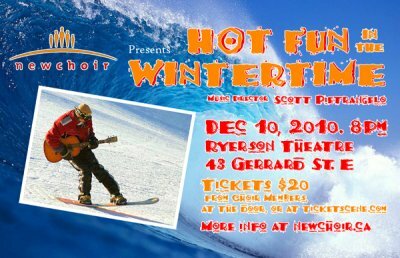 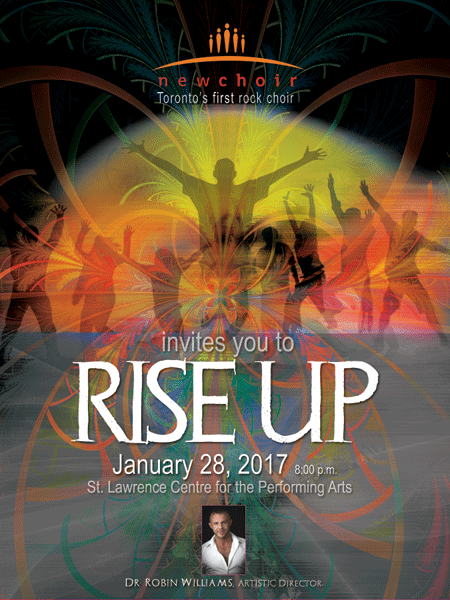 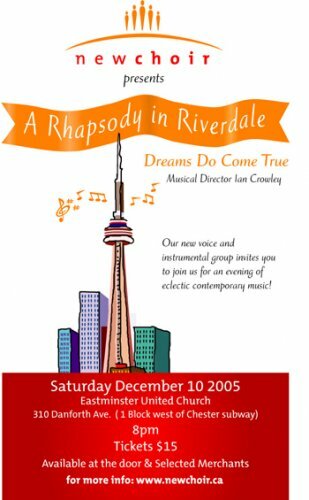 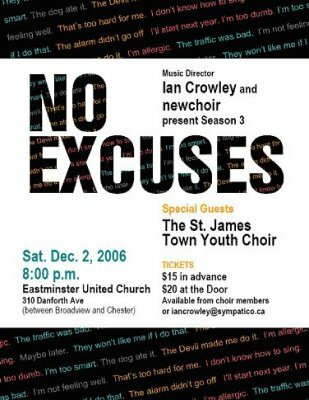 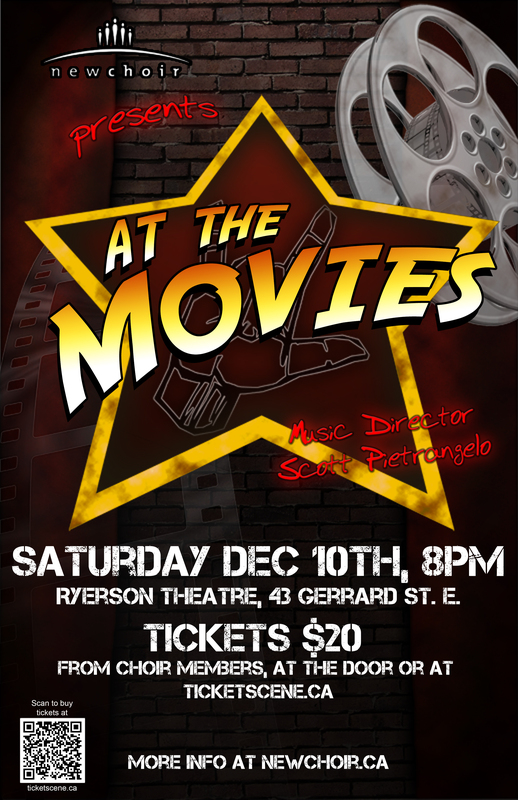 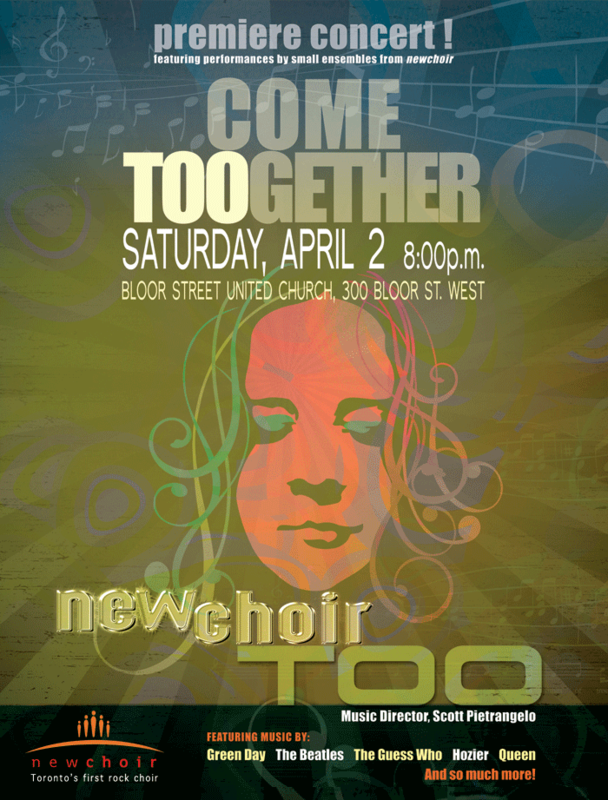 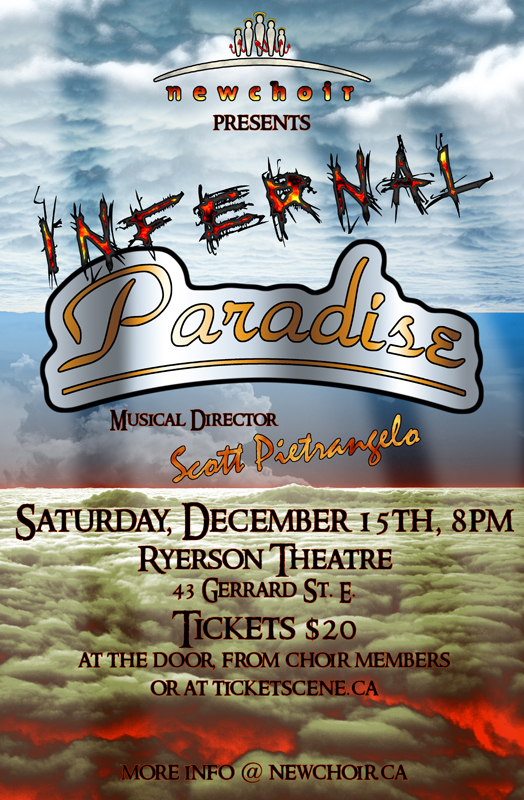 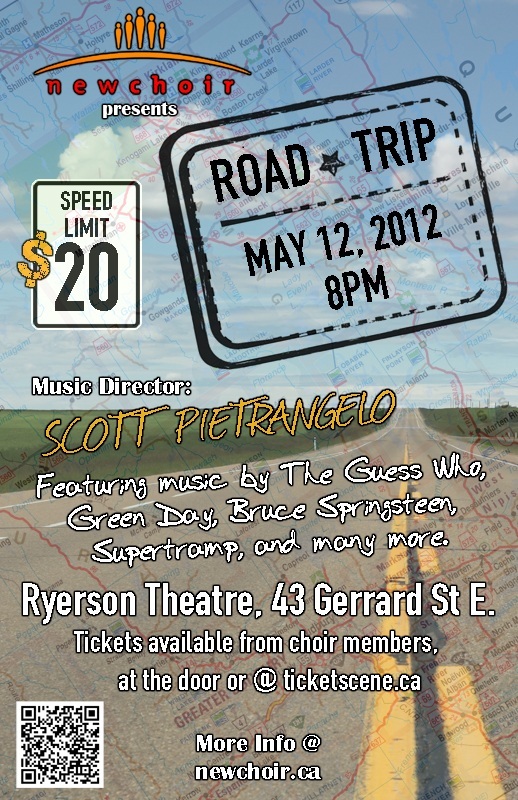 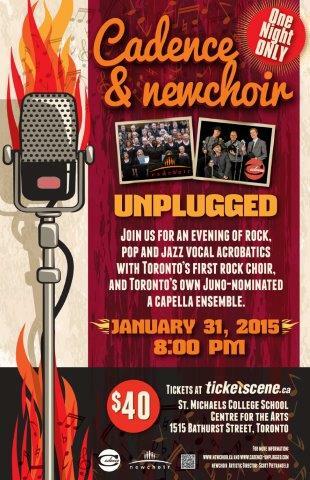 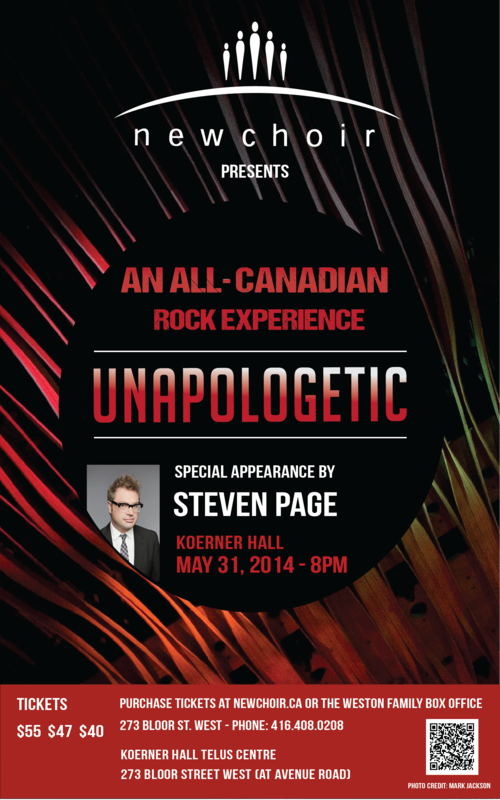 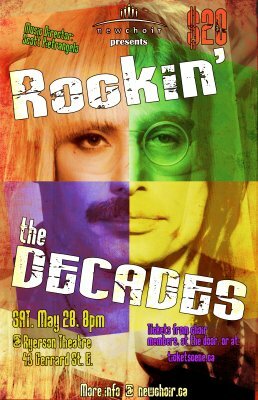 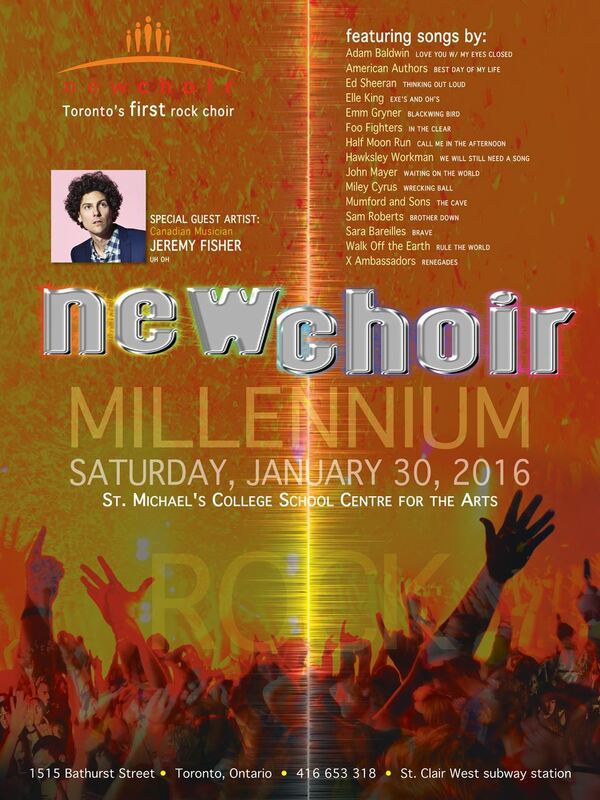 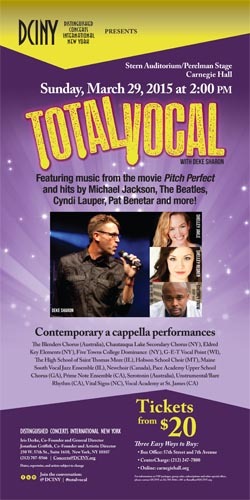 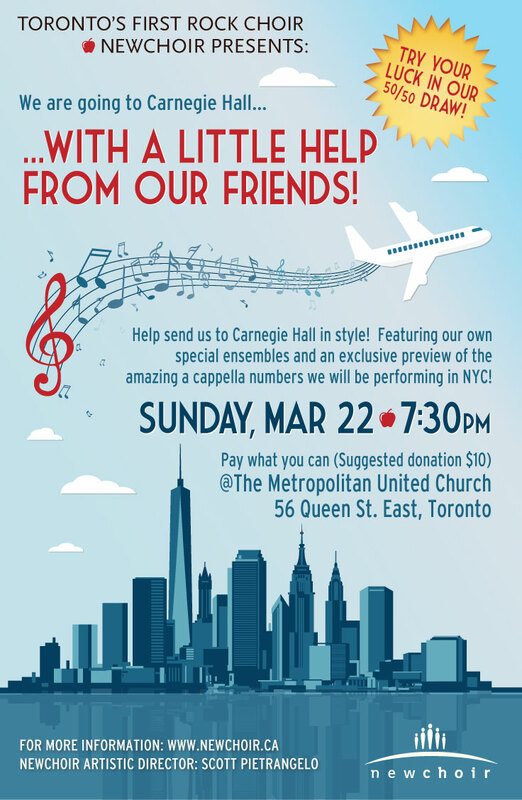 Experience the musical history of newchoir from our first performance on the Danforth in 2005 to our very latest show. 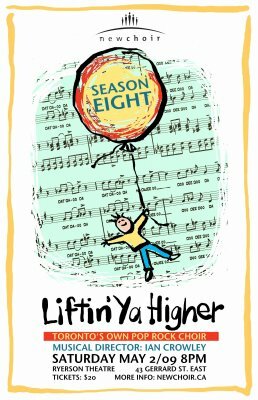 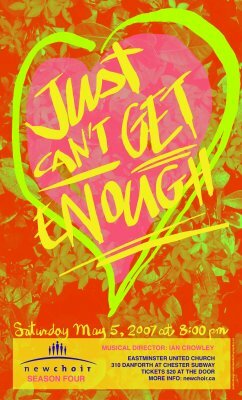 Click on a poster and you'll link to our Spotify playlist of the songs from the show, as performed by the original artists or covers we like. 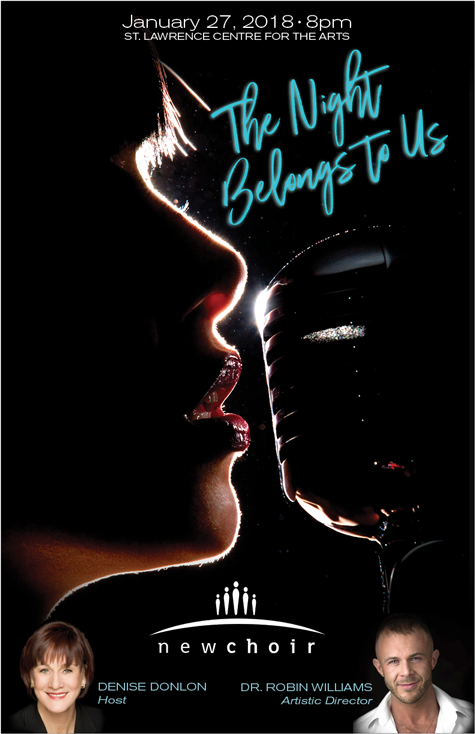 Add our playlists to Your Music library in Spotify!